Hair Boss Hair Co. is the creation of Master Extension Stylist Lena Reitz who started Hair Boss after dedicating 17 years working professionally in the entertainment mecca of the world, Los Angeles. We believe that Hair Extensions are a separate sub-division of the hair industry and understand-ing its dynamics take dedication, time and intention. For us, our emphasis is on creating a platform that ensures our clients get the best and most up to date hair experience in this specialized field. From the products that we source, to the techniques we continue to innovate, our brand will stand to pioneer this industry to achieve new potentials never seen before. As a pioneer in this specialty field, Lena is internationally renowned as one of the mot skilled and well rounded extension stylists relevant in the industry today. Lena is the Creator of the Universal Extension Technique "Skinny Weft" which replaces other damaging techniques and is suitable for the majority of hair types. Lena's work has been seen on key actors in Hollywood’s top Television Shows, movies, and on notable entertainment and music industry artists. Lena Has also been the face of various Hair Extension training video's by some of the leading hair companies in the industry. 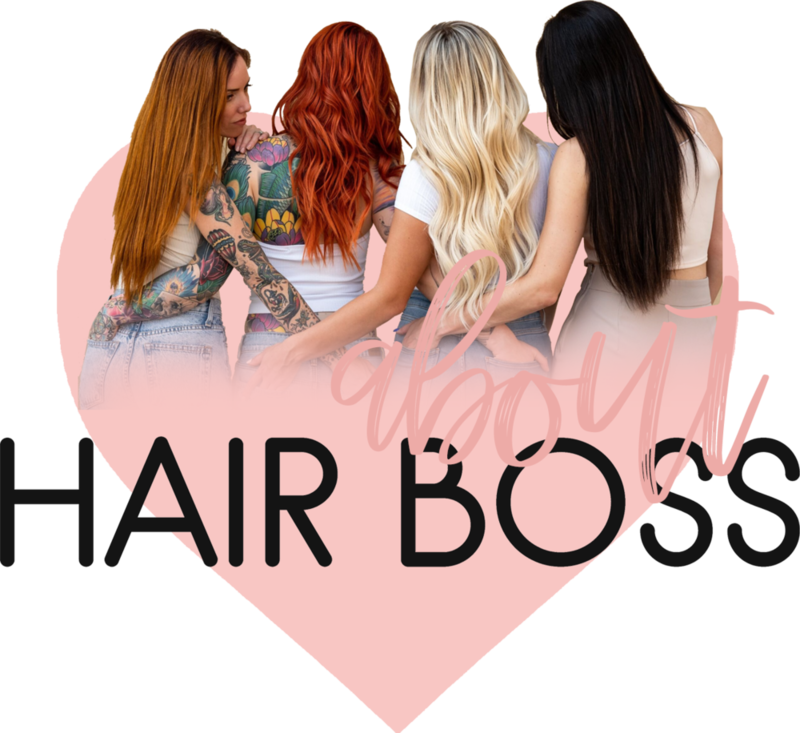 Hair Boss Hair Co. is dedicated to helping to restandardize the education curriculum for licensed professionals and those seeking to include hair extension services into their practice. Hair Boss education opens up opportunities for hair professionals to gain a broader understanding of this sub division and provides an above market learning standard to become well rounded, prepared, and equipped to perform extension services safely and professionally. April 15th: Working with Extensions! Wash, Style, Maintenance and Care! Hair Boss Hair is sourced ethically and promotes fair trade opportunities. Our Hair is available in various textures and regions of origin to provide an assortment of hair types that will naturally match the various hair types we all have. Although each bundle of hair comes from a different donor, we work hard to produce quality consistency and satisfaction for our clients. We take care and caution in our dyeing and manufacturing process. We offer high grade professional quality hair that is carefully crafted. All our hair is Remy with the cuticle remaining in tact for longevity, increased shine, and for a natural look and feel. Why our Signature method “Skinny Weft” is the only method you will ever want to use again. Skinny Weft is a method for installing hair extensions that replaces many of the other methods on the market. The reasons are plentiful! With Skinny Weft, you can get longer and thicker results in as quick as 90 minutes from start to finish while experiencing hair that feels and flows like your own! Clients achieve full coverage, natural looking length, never stringy or "piecey" like other methods. Our gentle method uses less of your hair in the process leaving the majority of your hair and scalp free to flow and grow! Once installed, can last in your hair 6 months at a time with quick 30 min monthly maintenance visits. 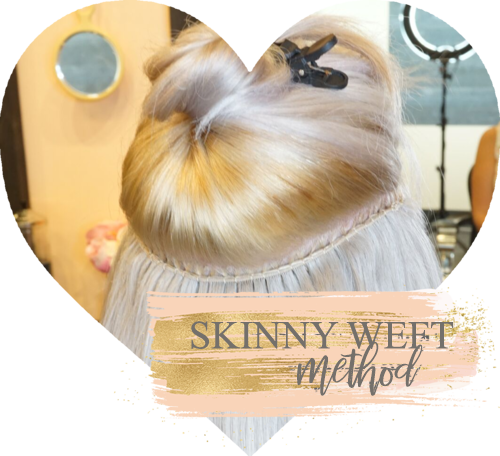 Skinny weft is 100% secure and will eliminate the need to come back for frequent fix up visits to the salon like other methods. Quick removal in 15 minutes! Skinny Weft leaves No messy residue, Uses No Heat, No Glue, No Tape, No Braid in the process. Installation without the pain and tension! Grows out with your own hair, hair can grow in a natural downward motion, it doesn't twist and turn at the root. Easy to style your hair up or down, braid or bun, and enjoy the activities of your natural or active lifestyle! Comfortable to wear and feels just like your own natural hair! As for people experiencing hair loss due to: surgery scars, hereditary hair loss, radiation, chemotherapy, alopecia and trichotillomania this method is one great solution, restoring confidence and hope. They are applied to a section of hair rather than only a few strands of hair, using that whole section to support the weight. Meanwhile, it also allows your natural hair to grow out while you are wearing these extensions. As the name itself suggests “Skinny Weft" extensions are perfect solutions for those who want to keep the wearing of extensions a secret, avoiding unsightly glimpses of visible extensions when the wind is blowing or the turning of your head. 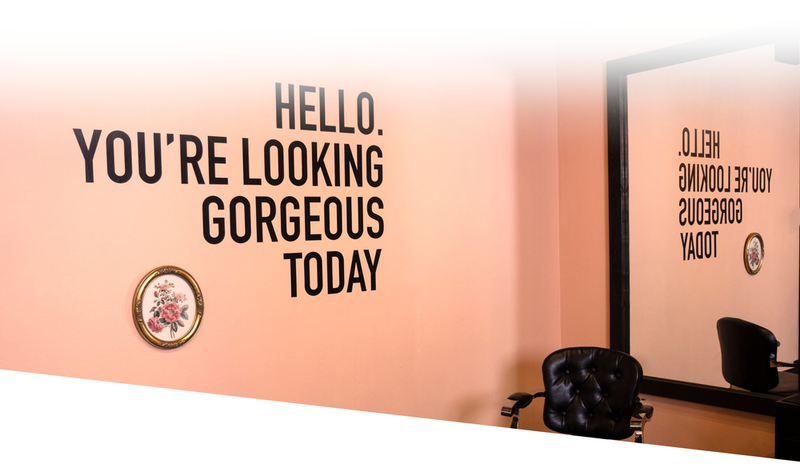 Hair Boss Hair Co. has opened a one of a kind flagship Salon located in the heart of Downtown, Calgary, AB Canada. The salon is located in the bottom level of the historic Grain Exchange Building which was completed in 1910 and once stood as the tallest building in the Downtown Calgary. The detail of an elaborately carved sand-stone arch over the main entrance and exquisite oak doors have remained original and keep the historic charm present. Many modern businesses have reclaimed this old historic landmark and today it houses trendy restaurant/bars, tattoo studios, a barbershop, wax studio, an art gallery, health practices, a jeweler, massage therapy, and more. 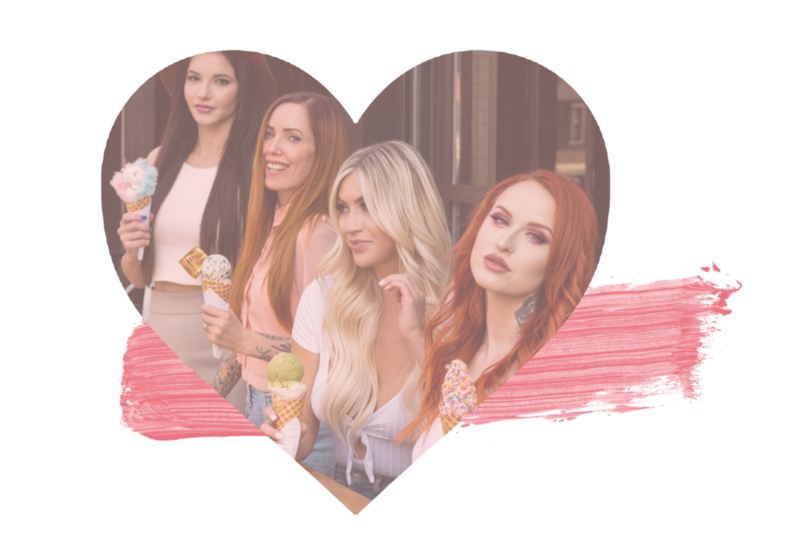 Hair Boss Salon in downtown Calgary is in a vibrant part of the city, neighboring the Fairmont hotel, the Calgary Towers, and nearby trendy shopping district, Stephen Ave.
As pioneers in this Industry, we have seen a rapid incline in the demand for Hair Extension services. The almost over night boom has lead to a flood of inexperienced technicians performing services without the proper training. This has resulted in giving Hair Extensions some negative connotations. We strive to turn negative experiences into positive ones. We believe in progressive and continual education in this constantly evolving industry. This is why we dedicate ourselves to being industry leaders and educators in this vastly growing field. Our mission is to set the standards higher, while innovating new techniques that continue to evolve the industry as we know it. As experienced hair stylists ourselves, we know it is our responsibility to help guide you to how to achieve your optimal hair results without compromising your hair’s health. Hair Boss provides a trusted product and a high end experience to ensure we go above and beyond to exceed your hair expectations! Our strict quality control and excellent custom service standards are at the up most forefront of our businesses core beliefs. If you should have any complaint or dissatisfaction with a service rendered, or a product purchased at Hair Boss, we encourage you to notify us so we can ensure to restore your complete satisfaction. are suitable for hair extensions! Hair extensions require the use of specialized products to ensure the hair is being nourished and cared for in the way that is specific to Hair Extensions. Many brands on the market do not provide the essential ingredients that will penetrate the hair shaft and deliver nutrients to the hair, instead they strip the hair too much and leave it feeling dry and course. You must avoid any and all sulphates, parabens and other harsh chemicals. Other natural hair care has molecules too large that weigh down the hair or create a coated layer onto the hair, these will not benefit the way your hair looks and feels. 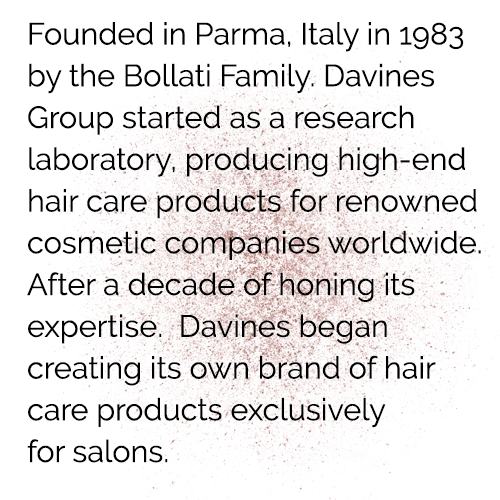 After experimenting with many professional product brands, we introduce DAVINES as our preferred product of choice for all of your hair aftercare needs. DAVINES uses high quality natural and highly effective ingredients that will benefit your hair each time you use them. Instead of feeling like you have to wash your extensions less, think of washing your hair as beneficial because you’re giving it vital nourishment that will hydrate and strengthen your hair. 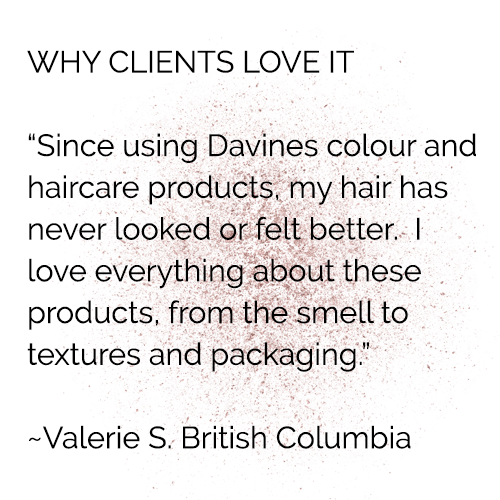 You will love the DAVINES experience, and can feel great about using an eco friendly, cruelty free and sustainable beauty product. Hair Boss Salon is proud to be Green Circle Certified! This means that 95% of all bi-products that we produce are mindfully recycled and repurposed to eliminate our carbon footprint. Green Circle collects hair clippings, used foils, color-tubes, excess hair color, papers and plastics, glass, and spa waste, and divert them from landfills and waterways. A $2.00 service fee is added to each service appointment to contribute to this wonderful program.